Fresh Apricots are tangy yet sweet and not something I purchase on a regular basis. Last year our CSA delivered a large bag of apricots week after week. 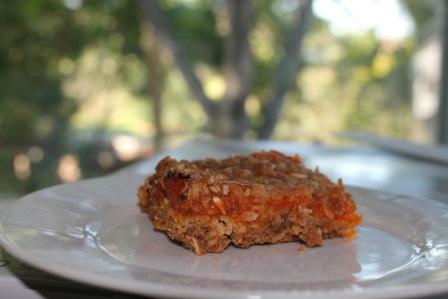 This recipe was a delicious way to use the fresh apricots and have a chewy, moist dessert or breakfast treat. Preheat oven to 350°F. Butter a 2 quart baking dish. Combine the apricots and sugar in a saucepan. Cook over medium heat until the sugar is dissolved and the apricots are soft (will vary tremendously depending on the ripeness of the apricots-very ripe apricots will only take minute or two). Stir in the orange liqueur. 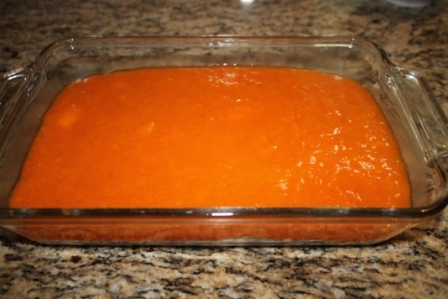 Puree the apricots in a blender or food processor until smooth. 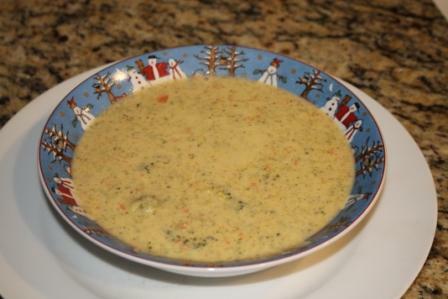 Pour into a bowl and set in freezer to chill while you make the crust. In a bowl, whisk together the flour, brown sugar, salt, and baking soda. Pinch in the butter pieces into the flour mixture (or cut them into the flour with a pastry cutter), until it resembles coarse sand. Pinch in the oats until well combined. 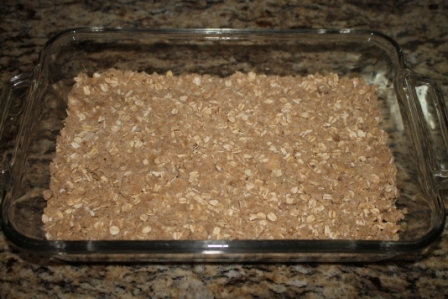 Press 2/3rds of the crust mixture evenly into the bottom of the prepared baking dish. 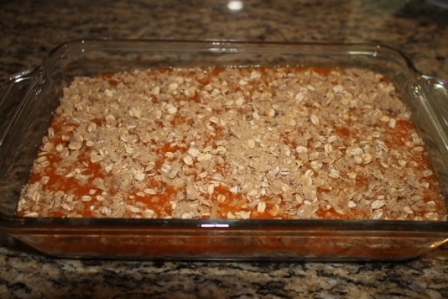 Spread the apricot puree over the crust bottom. 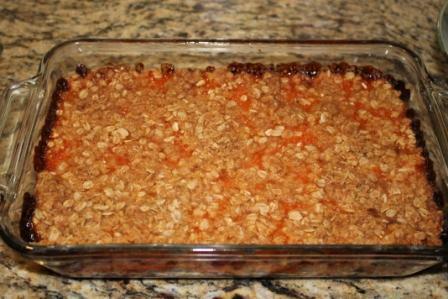 Sprinkle the remaining crust over the top of the apricot puree. Bake for 1 hour or until the crust is golden brown. Allow to cool, then slice and serve. Store in the refrigerator.